Kitchen is the stomach of your house and you know if the stomach is clean and well maintained than you will also feel fit and healthy in the same way if your kitchen is well organized than the health of your home will be fit. This article is the collection of some wonderful tips and ideas which surely help you to organize your kitchen in very short time. You can also Share your favorite kitchen organization tips with us and earn cash credits for them as well. 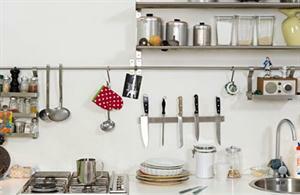 Kitchen organization is one of the more manageable tasks in organizing a home. It is the busiest area of your home and also the most untidy but we are sure no one like the messy kitchen so if you want to organize a kitchen in more smarter way than here are the tips and tricks which help you to organize everything in your kitchen from spices to recipes. •	Neat and clean kitchens attract everyone and also increase the work efficiency so it is very essential to keep your kitchen clean and to do that first of all discard anything you don't use, along with any food, spices or medicines that are beyond their expiration dates. •	Make a list of all the items you have in your kitchen analyze the level of usage of the items and just get rid of the things which you have not used for a couple of years or more than that. •	Clean the drawers and shelves of the kitchen thoroughly with the help of soap water mixture and replace cupboard and drawer liners. •	Store the utensils which you used frequently for cooking purposes like Store pots, pans and pressure cooker, wok and other cooking utensils near the stove. Nesting the pots and pans together will help you to conserve space. •	Kitchen storage is a big aspect of the kitchen, for storage purposes you can use Kitchen cabinets, lofts and niches in the kitchen. Kitchen cabinets are used to hold and store pots, pans and other kitchen equipment whereas the lofts are the great place to store some of those utensils and appliances that are not used on a regular basis. •	Use air tight containers to store your daily cooking items like spices, tea, sugar, cooking oil and other grocery items and put them near the stove over the shelves or in spice racks easily available in the market. • Let the kitchen counter be occupied for the appliances you frequently use. •	Do you have separate dining area than things like napkins and table cloths will go out and not be in the kitchen. 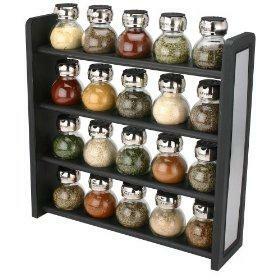 •	Store measuring cups and spoons, spatulas, and whisks in one drawer and slotted spoons, turners, and tongs in another. •	If you have enough space in your kitchen than it good to keep your refrigerator inside the kitchen otherwise place it near the kitchen. 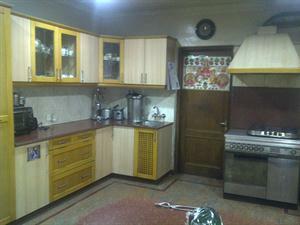 Other electrical appliances such as mixer grinder, food processor, electric cooker, microwave etc. should not be placed near the water sources. Use lower cabinets for typically heavy and bulky items and Regularly used appliances should be stored at the front of the cabinet. So try these tips and ideas and get a well organized kitchen which is easy to maintain and also increase the pleasure of cooking and also save you time.